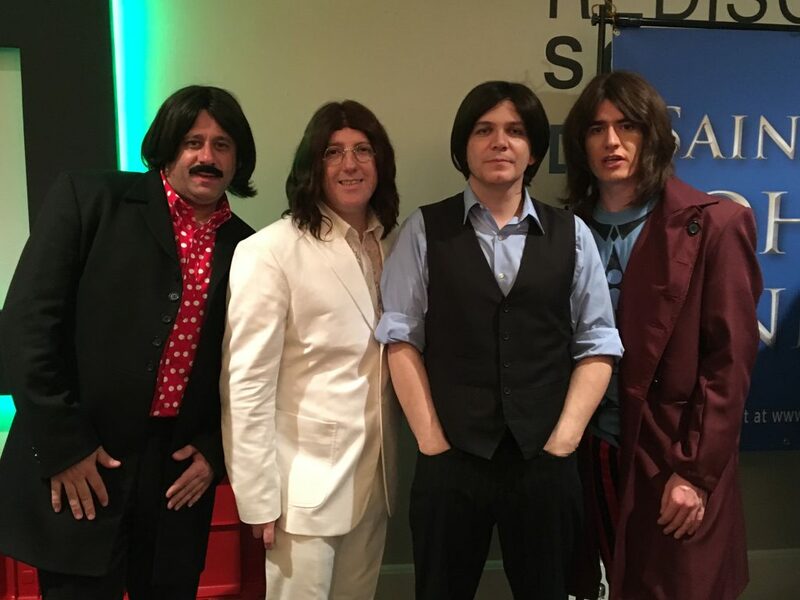 Four chaps from Liverpool visited the Crest Theatre in Delray Beach on Feb. 16 and, quadruple-handedly, recreated a piece of the global phenomenon that altered the world of music 50-plus years ago, a feat accomplished by — four other chaps from Liverpool. Meet the Mersey Beatles, childhood friends from that port community in northwest England, east of the Mersey Estuary. Together, this quartet — Mark Bloor, Steven Howard, Craig McGown and Brian Ambrose — has done what many tried, but few fully accomplished. They trod the same steps, played the same venues and learned to create the same sound that John Lennon, Paul McCartney, George Harrison and Ringo Starr parlayed from the Cavern Club to the pinnacle of musical fame and fandom. They have even engaged John Lennon’s sister, Julia, to endorse them. The show at the Crest was part of a tour through Florida that ended last month. 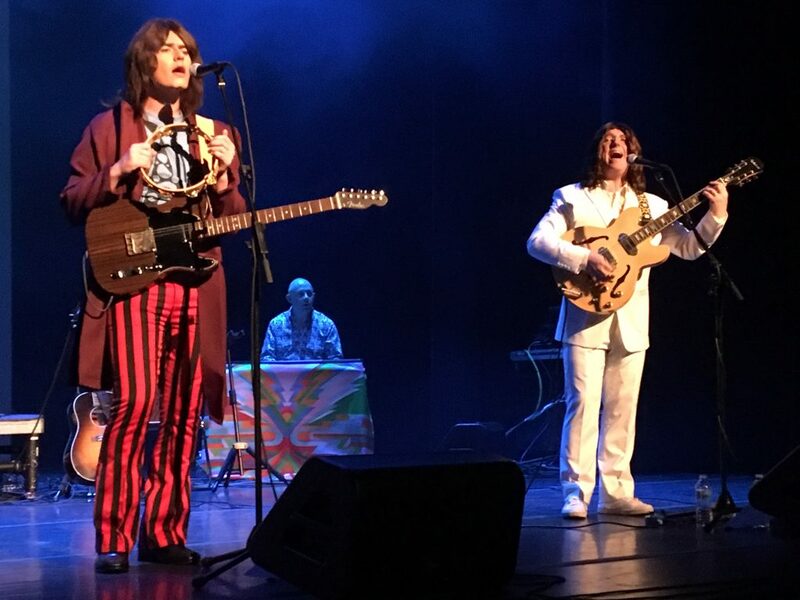 Dressed in garb that characterized the Fab Four’s various iterations, the four Britons engaged and enlivened the Crest audience until folks were screaming, waving, dancing in the aisles and encroaching upon the stage. Howard, out front with a bass, did look a lot like Paul, but he played the polished brown-bodied guitar right handed. (McCartney played left handed). No one seemed to object. Ringo (Brian), taller and heavier than the multi-ringed Mr. Starkey, finally got his moment in the spotlight, singing “Honey Don’t” from an early slab of Beatle vinyl. As if marking the passage of time, Mark/Paul picked up an acoustic guitar as the stage dimmed and the light of a single spot illuminated him. “Yesterday,” he sang “all my troubles seemed so far away,” as the audience responded with hushed approval. The boys are still the band of choice at such Liverpool attractions as The Beatles Story Museum and The Hard Day’s Night Hotel. They are also the only Beatles band recommended by the Penny Lane Development trust. After a 12-month return gig at the Cavern in 2014, the boys left on a world tour that included stops in the USA and Europe. Soon after, Mark, as John, said he planned to sing a tune “that’s not a Beatles song, but was written by a Beatle.” With Tony Cook playing the unmistakable piano intro, the song “Imagine” engendered applause, then a hush from the audience. Actually, Cook should get credit as “The Fifth Beatle.” With his keyboard, he created all the instruments the Beatles added in their later tunes. As the concert began to wind down, the quartet performed “Lady Madonna,” “Come Together” and “Back in the U.S.S.R.” Craig/George dedicated “Here Comes the Sun” to all Floridians. “I Saw Her Standing There” ended the night. And while girls in the audience at Ed Sullivan’s 1964 Beatles performance might have remembered the evening with a ticket stub, most folks at the Crest went home with a cellphone video.